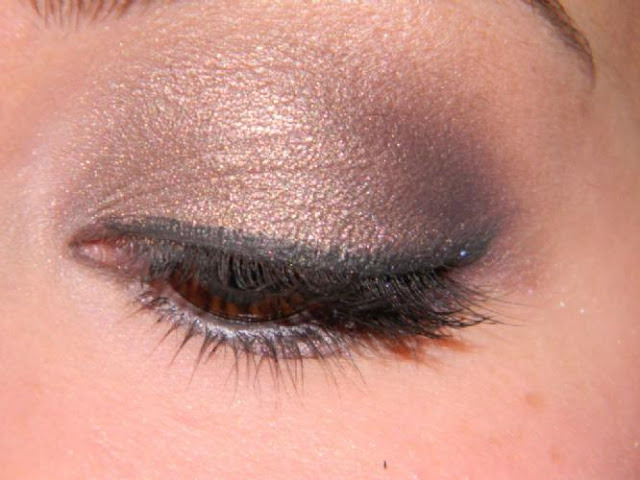 Here's my first look using Nars Nouveau Monde! I absolutely love this duo! 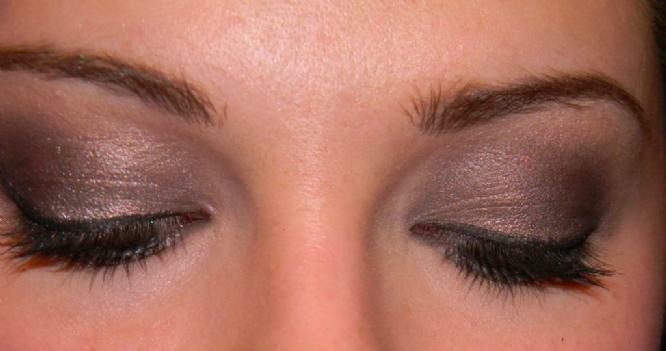 I wasn't sure how these colors would look together, but I think this made for a nice smokey, evening look. The benefit skinny jeans really enhanced the colors, the green olive was much more intense in person. This is definitely going to be a favorite duo of mine, it's perfect for spring. 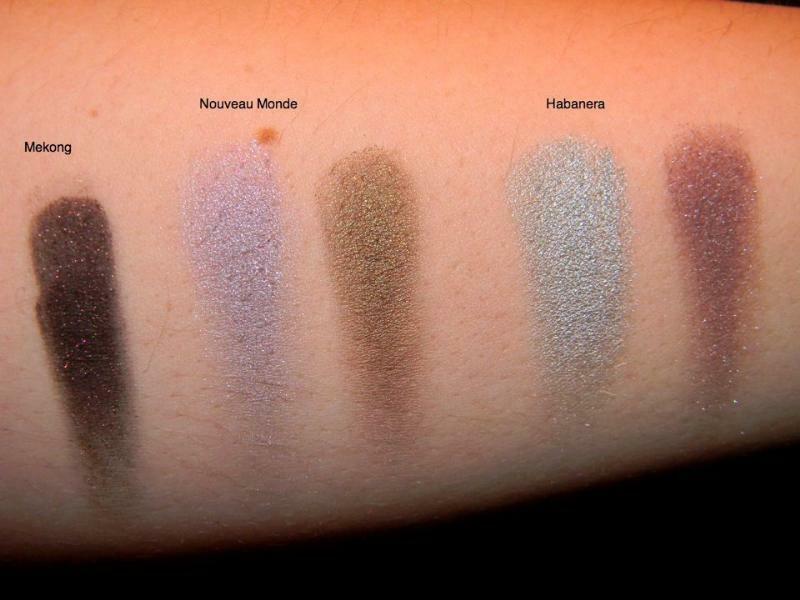 "Metallic Silver Lilac and Rich Olive Gold"
Swatches! The pigmentation on all of them is superb. I'm so excited to do some FOTD's with these shadows! I'll definitely post them this week! The texture on the single and both duos is wonderful: rich and buttery, they apply very smoothly. The pigmentation is really insane on all of them, especially mekong. You only need the tiniest bit on your brush and you have more than enough eyeshadow to work with. I know Mekong will go with all of my favorite neutral looks...Habanera and Nouveau Monde, I was actually apprehensive about: both duos contain colors that seem unlikely to pair with one another. However, after swatching them, I think they are going to look gorgeous on the eye! Hope you enjoyed! Let me know if you've tried any of these shadows, or how you like to wear them!! 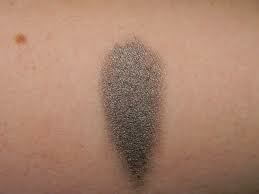 Here is Benefit's Creaseless Cream Shadow in "Skinny Jeans." 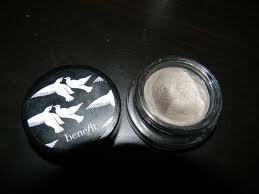 On the Benefit website, it is described as "pretty pewter." I completely agree with that simple description. Although it is grey-based, it does lean a bit gold or green at times. It has really gorgeous and subtle shimmer to it as well (no glitter bits or anything). 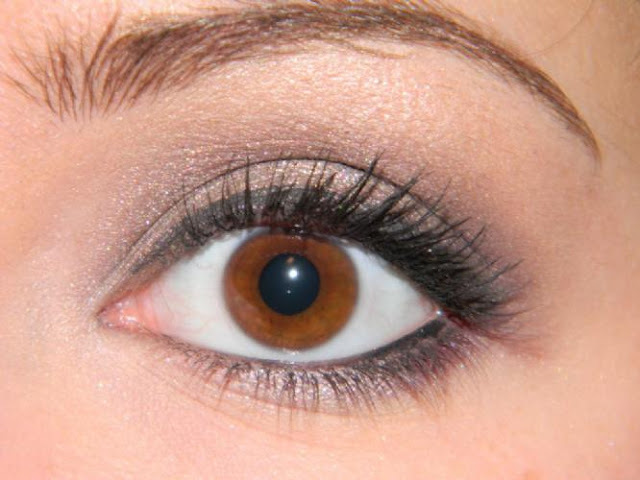 Personally, I love to use skinny jeans as a base for smokey eyes...pretty much any color, green, grey, gold, taupe, etc... When you layer other shadows over it, it really intensifies and deepens the colors of the shadow. 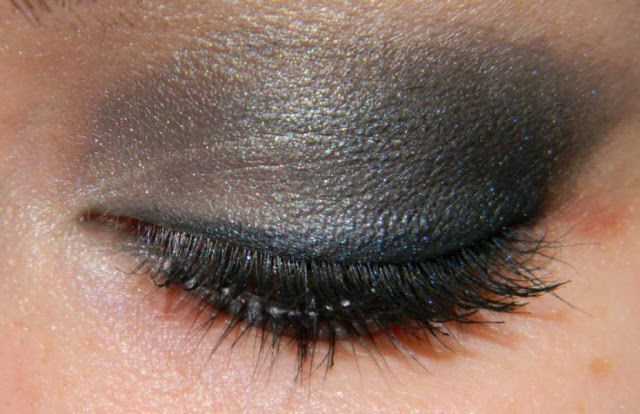 It's also lovely on it's own just blended out, as a liner on the upper lash line, or all over the lid w/ a black in the outer-v for a skinny jeans smokey eye. It's really beautiful, and there is so much product in this little pot that it will take years and years until I get through it! Application wise, I find it easiest to apply and blend with my ring finger. I've also used my mac 217 for more precise placement. Benefit has a handful of other colors in the creaseless cream formula, including some shimmery neutrals, golds, and pinks. I definitely want to check some more of them out because I love skinny jeans so much. If skinny jeans isn't your color, definitely research some of the other shades, I promise you won't be disappointed! 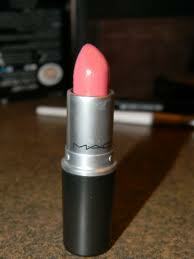 Last week I did a Back2Mac at the MAC store the other day and decided to get a lipstick! I am a big fan of MAC's paint pots, eyeshadows, blushes, msfn, etc... but I had never tried any of their lipsticks before. I had my mind set on trying out a few of their very popular shades: creme cup, angel, russian red, cosmo, ruby woo, etc... but found that none of them were what I was looking for. I realized after swatching all these colors that what I wanted was an everyday type of lipstick...Fanfare was exactly that for me. 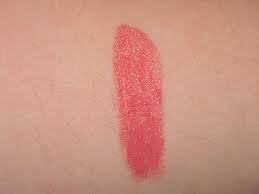 Fanfare is a really pretty "my lips but [a million times] better" medium pink, with a touch of coral. It is also part of the Cremesheen category, so it has a smooth, creamy texture, wonderful pigmentation, and a bit of a sheen to it (definitely no glitter or anything!) It may look boring in the tube, but on my lips it's a perfect medium pink/coral color. 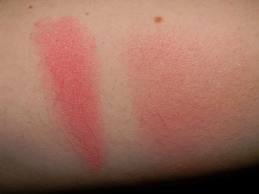 The wear is lovely; it's very comfortable on the lips and lasts for a good few hours. Overall, I think it's a beautiful color and quite underrated--I've never heard any hype around this color. Definitely a lippie to check out if you happen to be at a MAC store! 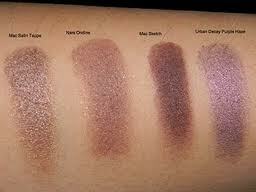 Nars Ondine is a beautiful taupey/purpley/brown with gold shimmer throughout. It's a sort of complex color to describe... at times it hints more plum, at other times it is more brown. 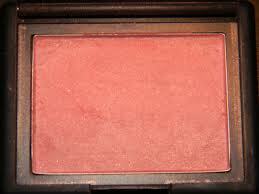 The texture is buttery, pigmented, and not too sheer or too opaque...it is very easy to build the color. 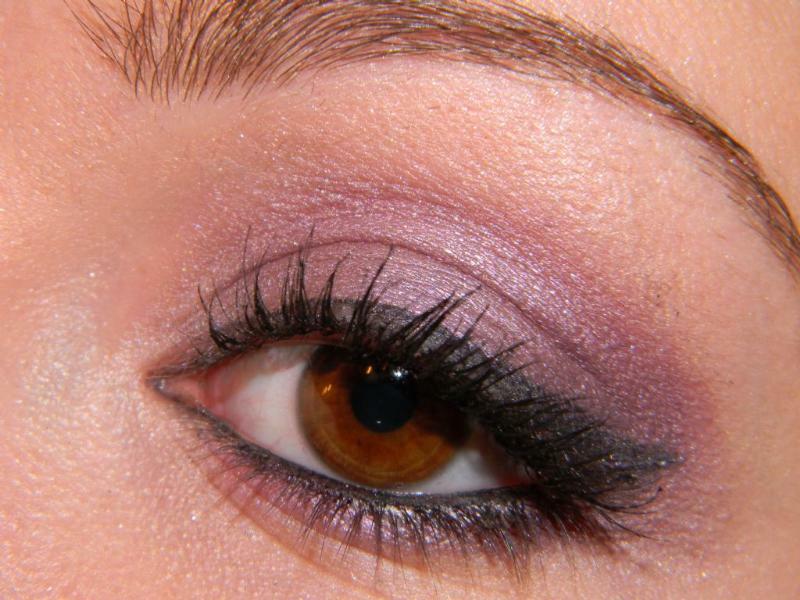 I love it as a lid color with a deeper purple or dark brown in the crease. 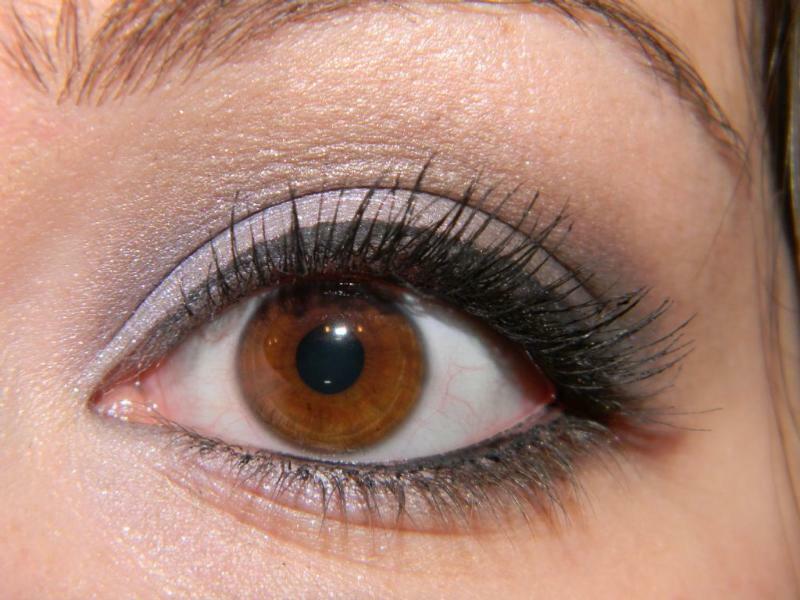 It's also perfect in the crease with pretty much any lighter neutral on the lid. (L-R Satin Taupe, Ondine, Sketch, Purple Haze) You can see here it's not nearly as dark as sketch, not as purple as my UD purple haze, and pulls more plum than my satin taupe. 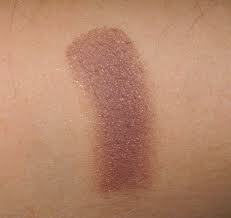 I would definitely recommend this shadow if you're in the market for a unique taupey plum. Over my mac paint pot (my favorite product to use as an eyeshadow base!) I never experience any fading or creasing. I believe it retails for $23 but the Nars website often puts out coupon codes (recently they had an 18% off orders of $65). It is definitely a splurge, but the quality is very much worth the price tag. The only downside I could see is that it could be an unflattering lid color on extremely pale skintones (possibly look like a bruise). 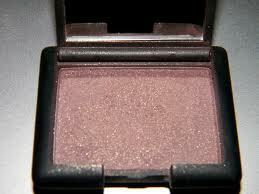 Nevertheless, I think it's a beautiful eyeshadow and one worth checking out! Wet N Wild 8 pan blue had me at hello: right hand browbone on inner corner, right hand crease color on lid and crease, left hand crease on outer v, and then the right hand definer to deepen the outer v! From the pictures, it looks like the blue sparkles really stuck to the black eyeliner near my upper lashline, so i might try using that as a base next time to make the blue show up better. Eyeshadows applied and blended beautifully, I'm so glad I picked this palette up. 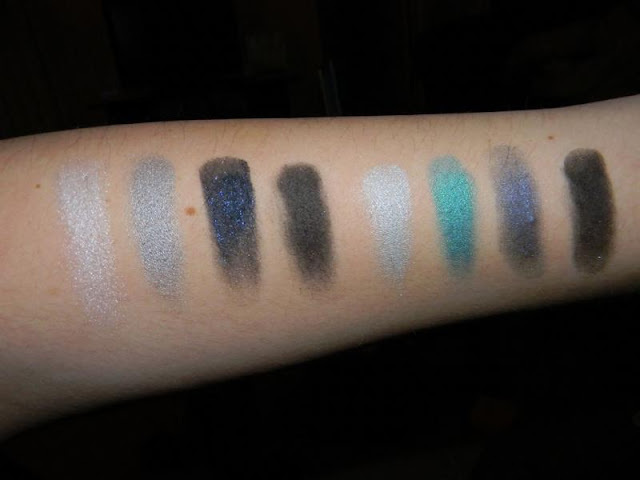 Hope these were swatches were helpful! 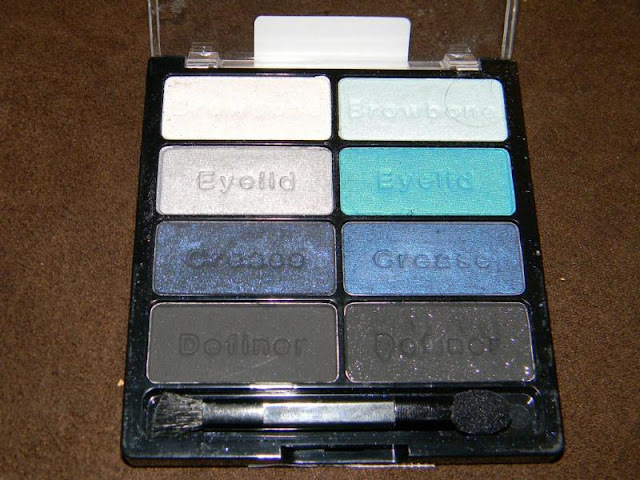 I would definitely recommend this palette...based on swatching and wearing a few colors today, they are really wonderful quality for drugstore eyeshadow. Over my mac pain pot, I didn't experience ANY creasing. The colors are very, very smooth. 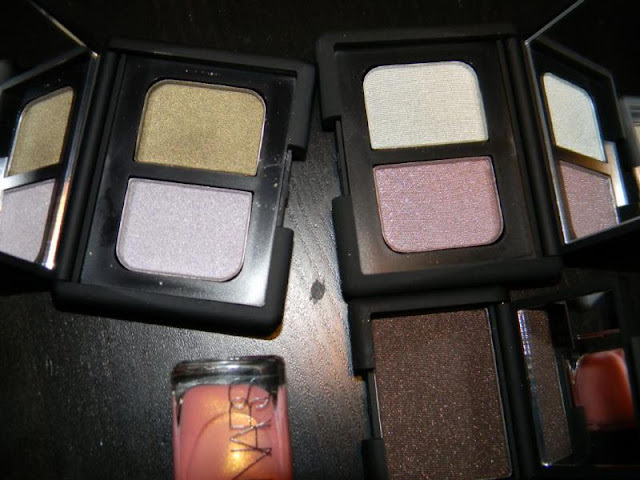 I will admit I can be a bit of an eyeshadow snob (most of my eyeshadows are not drugstore),but these are very impressive and a similar quality for an amazing price tag! Definitely recommend! Let me know if you've picked up any of the palettes! Hope you had a lovely Valentines Day yesterday! 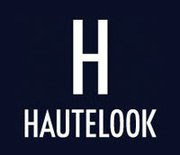 This is my first post, hopefully I'll be able to beautify the blog soon AND keep up with it! I'll be posting looks, reviews and pictures of products I like (and don't like), comparisons, etc. I'm not a skin or makeup application expert, but I hope you enjoy!